Growth for You is Growth for Us! We create a welcome environment in which our customers’ needs are met and expectations exceeded. 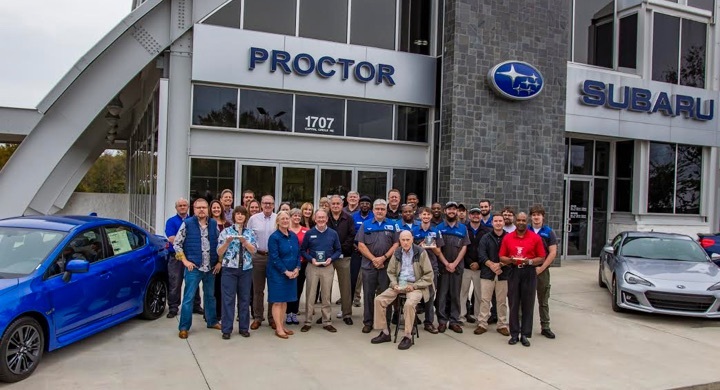 The Proctor Dealerships are a growing and dynamic organization. We want to be the benchmark for innovation and cutting-edge business practices that lead to new levels of success. We’re “outside the box” and charting our own course! It’s an attitude that, when combined with the organizational knowledge garnered since 1910, will guide us into the future! Proctor leadership believes that satisfied employees will best serve our customers. 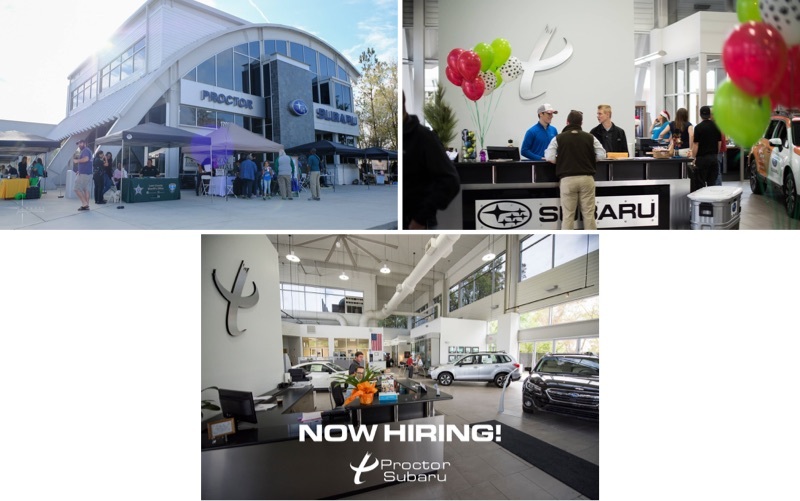 In that regard, The Proctor Dealerships are unique in the emphasis placed on employees. The keys to success for you, as an employee, and for our Company, are a positive attitude, teamwork, a proactive spirit and a total commitment to customer satisfaction. The Proctor automobile dealerships in Tallahassee are rich in history and service to the community dating back to 1910. W. Theo Proctor, Sr. began the business in 1910 and sold two Cadillacs his first year in business. In 1914, Proctor opened its first facility where automobile repairs could be made, and people could come to do business. Earl Proctor joined the business in 1918 when his brother, Theo, went to serve his country in World War I; thus, the name Proctor and Proctor was born. Proctor and Proctor became Proctor and Proctor, Inc. when it was Incorporated in 1929, making it one of the oldest corporations on record with the State of Florida. The organization grew over the years and expanded into larger facilities as its business grew. 1946 was a significant year as the Proctors moved into a new three-story structure downtown. 1974 marked another milestone as the Proctors moved east of town to a new facility which was home to the Pontiac, GMC, and Cadillac dealership. In 1985, the Proctors opened a new Honda exclusive facility on West Tennessee Street and in 1991, the organization opened Proctor Acura, also on West Tennessee Street. In 2002, the Proctor GM location added HUMMER and Buick. In early 2004, the original corporation, Proctor and Proctor, Inc., became the legal entity owning only the Proctor GM dealerships, as Proctor Honda and Proctor Acura were spun out into their own respective corporations. In 2005, new facilities adjacent to the existing GM facility opened for Proctor HUMMER and Cadillac. In late 2005, The Proctor Dealerships opened Compass Marketing and Consulting next to Proctor GM. In early 2008, the GM franchises - Cadillac, Buick Pontiac, GMC and HUMMER - were sold. The former Cadillac facility is home to Proctor corporate offices and Compass Marketing and Consulting and the former HUMMER facility is now home to Proctor Subaru which was acquired in 2009. It’s a pledge to do right by the communities in which we all live and work. We’ve signed it, and throughout the country, our retailers are doing the same. This is our promise to continue making a positive impact in the world and our neighborhoods. We believe in making the world a better place. That’s why we build fuel-efficient vehicles in eco-friendly plants. That’s why, over the past 20 years, we’ve donated more than 50 million dollars to causes we all care about, and our employees have logged more than 28,000 volunteer hours.